The forehead is a prominent part of the face, that attracts a viewer's attention after the nose and eyes. A forehead lift can be done alone or in conjunction with other procedures. 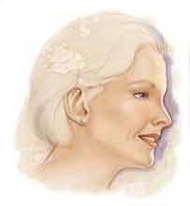 The goal is to re-contour and restore the sagging deep layers to make them more harmonious with the rest of your face and erase wrinkles that are a sign of aging. 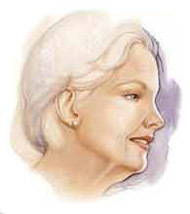 The best candidates for a face lift, are men and women whose face and neck have begun to sag, but whose skin still has elasticity and whose bone structure is strong and well-defined. Most patients are in their fifties to sixties but forehead lifts can successfully be done on people in their seventies and eighties as well. may enhance your self-esteem but it won’t give you a totally different look. Before you decide to have surgery, think carefully about your expectations and discuss them with Dr. Wilson. During your consultation, Dr. Wilson will evaluate your forehead, including the skin and underlying bone and request that you make several different expressions so he can view your features as you animate. He will check the level of your eyebrows and determine the distance to the hairline. You may also schedule an additional consultation to view computer imaging so that you can visualize the results of each technique that Dr. Wilson has specifically designed for your surgery. You should come to the consultation prepared to discuss your medical history. Forehead lifts are very individualized procedures. Incisions usually begin inside the hairline at the temples, and access to the whole forehead is assisted by an endoscope. After the forehead is lifted, it is fixed in place by a special material (such as Endotyne) or by plate and screws. How is a Forehead Reduction performed? ﻿Sometimes when there is excessive bossing of the forehead, the bone can be pushed backwards, and this will reduce the bossing in the eyebrow and glabellar region. 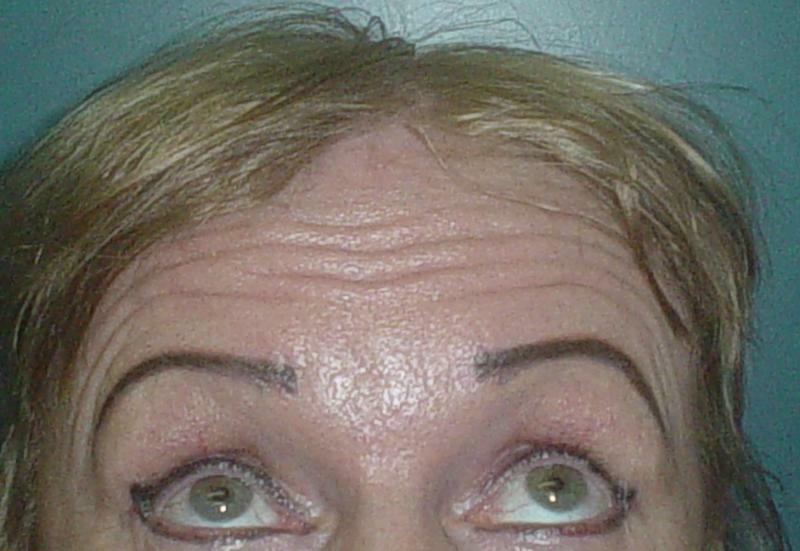 Forehead Lift: This 42 year female had excessive skin sagging and wrinkles. A forehead lift was performed to give her a more juvenille natural contour. 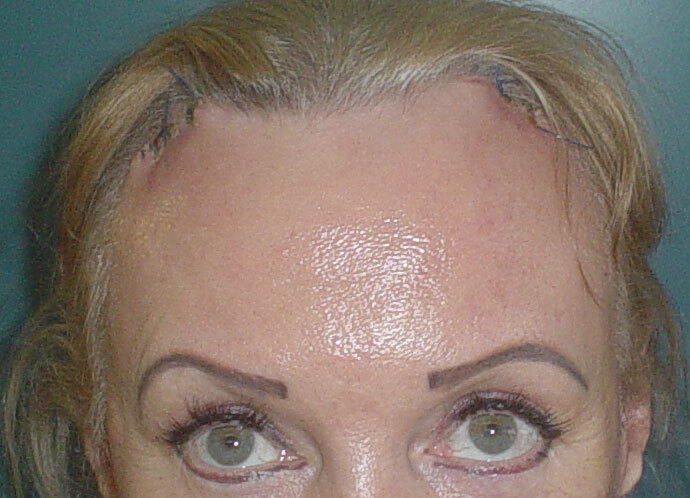 Forehead Lift and Frontal Reduction: This 55 year old male to female transexual had skin sagging and bossing in the forehead region due to her original gender orientation. A forehead lift and reduction were performed to give her a more feminine contour.